Robyn Ochs, a nationally-recognized advocate and activist for the rights of people of all orientations and genders, will make two speaking appearances Thursday, Oct. 9, at Lowder Hall. Students involved in Harbert College's mentorship program are paired with industry professionals, who provide support, advice throughout the school year. 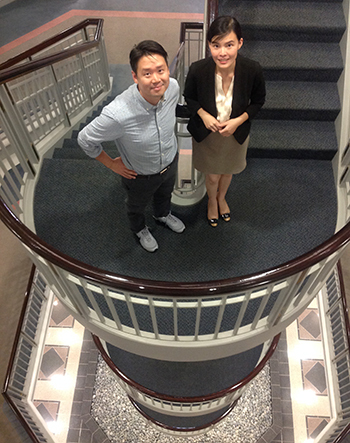 Harbert College welcomes assistant professors Pei Xu and Kang Lee to its faculty. Both are instrumental in the college's business analytics program.